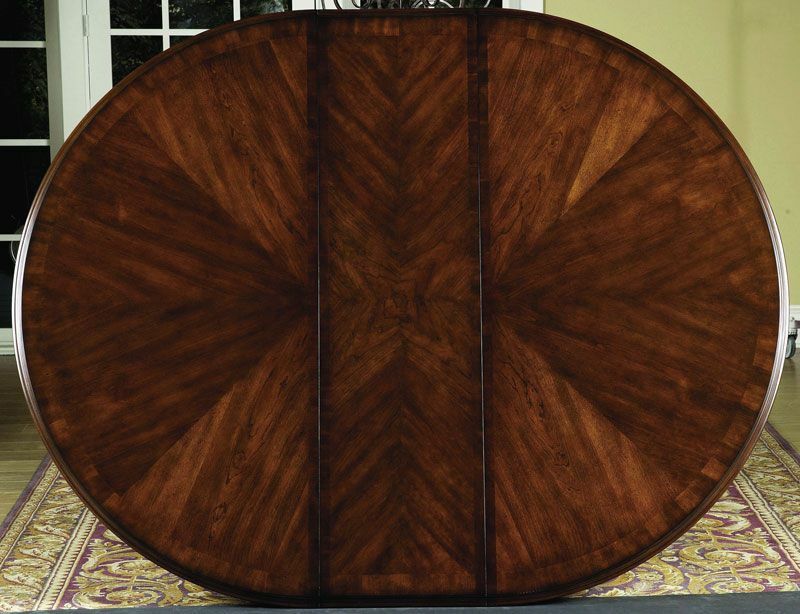 Click the button below to add the FLORENCE - 7pcs TRADITIONAL TUSCANY ROUND OVAL DINING ROOM TABLE & CHAIRS SET to your wish list. Inspired by the grand estates of the Tuscan region of Italy. 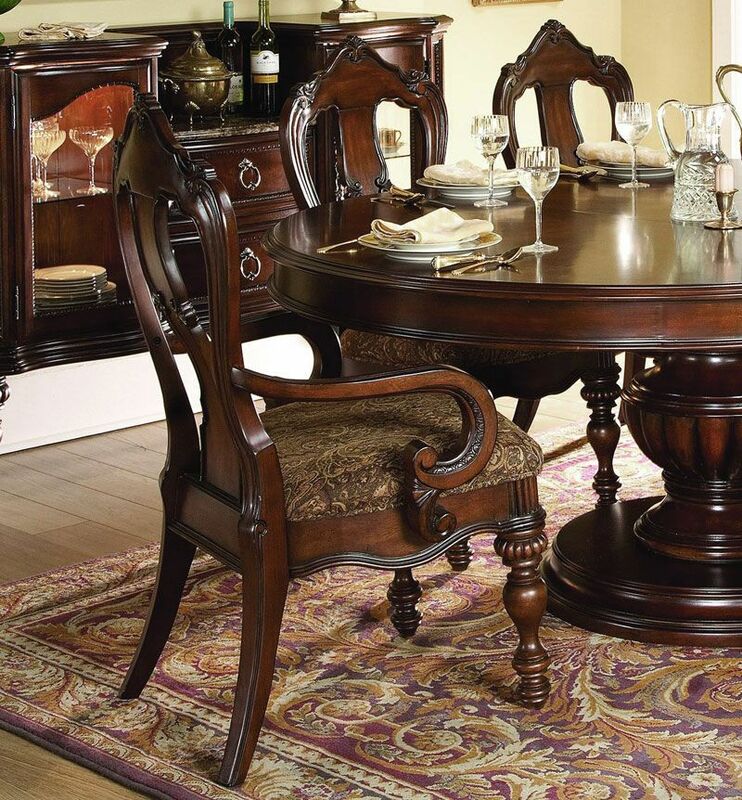 Main design elements are flowing lines, detail carvings, beatiful hand inlaid veneers and grand scaled. 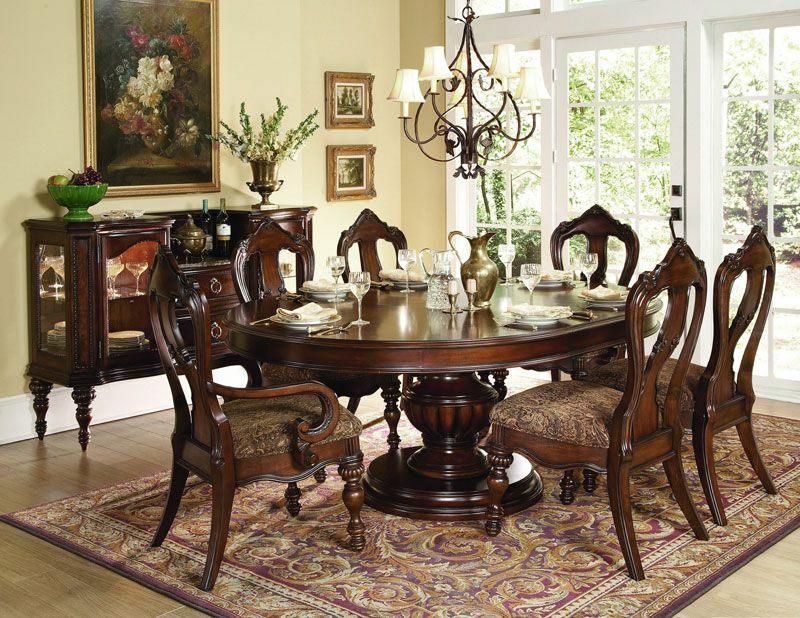 Warm cherry finish with burnish and distress accent. Constructed with birch solids, ash burl and cherry veneers.